Top Dollars For Silvers | Regal Capital Lenders, Inc. When it comes to liquidating your precious metals and coins, you will want the highest returns. Timing the sale is just as important as the buying process. There are many silver buyers who can offer you a fair deal, only when you know where to look for them. When it is time to sell your silver bars and coins, it is essential that you do as much research as possible in order to get the highest price. Start by separating your scrap gold and other precious metals by placing the damaged ones into a container. Remember, in order to locate the most genuine gold buyers Atlanta is the place to go to. If you have lots of silver coins and scraps, make sure you separate the 90 percent metals from 100 percent coins. You are then ready to record the weight of each coin or bullion before coming up with an accurate estimate of the value. You will only be paid for the precious metal content, but you should still find trustworthy silver coin buyers in Atlanta. 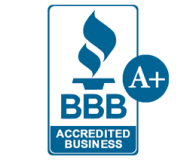 Check the BBB ratings of your chosen buyers before establishing which one is the most trustworthy source. After all, the last thing you want is to send your valuables to a company and never see a payment for them. Come up with an action plan for identifying when the right time to sell is and how much you want for your valuables. Your action plan must include a strategy for your new profits. Part of this plan should include purchasing more precious metals and then selling them when the market is hot. Be prepared to buy lots more gold when it is priced below market value. Some of the most common precious metal investments include bullion coins that come from government mints. These usually sell at a premium price and most dealers will buy them on the spot. Bars and scraps of fine silver are not worth as much as bullion coins. For most part, they may only sell for melt value. For instance, if you have 5 ounces of gold, you will only get 5 ounces of the spot price. Rare coins on the other hand, are highly valuable and can sell at very high premium prices depending on their rarity, quality, and age. It is best to get two or three appraisals from professionals before attempting to sell. The next step would be to take your precious metals to a professional who has access to acid tests. Make sure you only deal with reputable dealers who have years of experience in this type of business. Most genuine buyers will have their pay out prices posted in plain sight. Look for the weight and calculate the value of your items. You should know the exact value of your precious metals before going to a buyer. It is worth remembering that the current price of bullion coins and precious metals is not necessarily what your jewelry will be worth. Most gold pieces are 9 to 14 karat, but if you own an 18 to 24 karat jewelry, it will be worth much more. Before you sell your items, it is best to familiarize yourself with what to expect. When you wish to get an appraisal for a piece of jewelry, you must go to a professional jeweler. Some offer the option of pawning instead rather than buying from you. This serves as collateral against the cash you receive. Another option for selling your gold would be to go to jewelers who measure the item and give the value upfront. However, before visiting one of these jewelers, do your research thoroughly to see how much your item is worth. This will save you in getting ripped off. There are many genuine jewelers in Atlanta so finding one will not be difficult. Additionally, there are many legit companies that come with good reviews. Look online to find these buyers of precious metals. It would be advisable to read through all the previous customer testimonials before proceeding with one of them. You can also seek recommendations from friends or colleagues who have also sold their bullion and jewelries through a reputable source. This will definitely make your task of finding a genuine buyer in Atlanta easier.